Here’s a podcast with Josh Shelov, the writer/director of The Best and the Brightest. While the film is screening in Philadelphia as you read this (that is, if you’re reading this as soon as I post it, so, that would just be me), it will open in a more traditional fashion in the next few months. 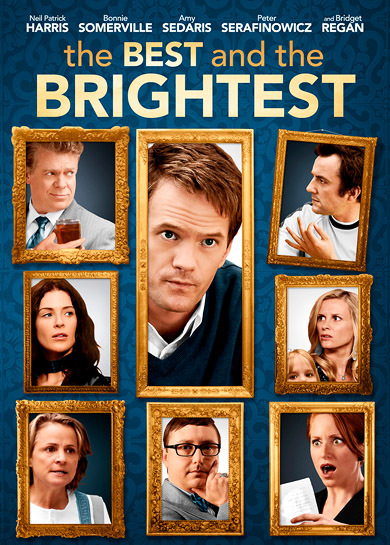 The Best and the Brightest is a farce about the very difficult struggles of getting your child into an exclusive pre-K if you live in New York City. The movie, which stars Neil Patrick Harris, John Hodgman, Christopher McDonald, Peter Serafinowicz, Bridget Regan, Amy Sedaris, etc., gets fairly raunchy, so Josh and I discuss how far you push a farce and how believable it has to be. Then we talk about his meeting with famed New Yorker film critic Pauline Kael and why he asked her about Quentin Tarantino. We also get into his career as a studio screenwriter and developing a script with The Hangover director Todd Phillips, and how script development actually works (it does involve coming into an office every day and staring at a computer). The interview, which was conducted face to face, so the sound quality is better than the usual cell phone thing I have to do, runs a little over an hour. Though there’s a logical conclusion, there’s another minute or two which didn’t fit in anywhere, so make sure to keep listening for that. This entry was posted on Friday, April 22nd, 2011 at 6:57 pm	and is filed under Comedy. You can follow any responses to this entry through the RSS 2.0 feed. You can leave a response, or trackback from your own site.